How many times have you found yourself saying, “there’s just not enough hours in the day”? Too many, probably. Whether it’s work, school, or family life that drains your time, many of us are in the exact same situation. And with the hustle and bustle of everyday life, it’s sometimes hard to find the time to get a decent meal inside you. However, thanks to the innovative Instant Pot, you can now make quality, wholesome food in a matter of minutes, at the touch of a few buttons. Unless you’ve been hiding under a rock somewhere deep in the depths of the desert for the past 8 years, chances are that you know what the instant pot is all about. But, for the very small minority that that may actually apply to, we’ll give you a brief rundown of the background of the company behind this magical machine, and how it’s evolved to what it is today. 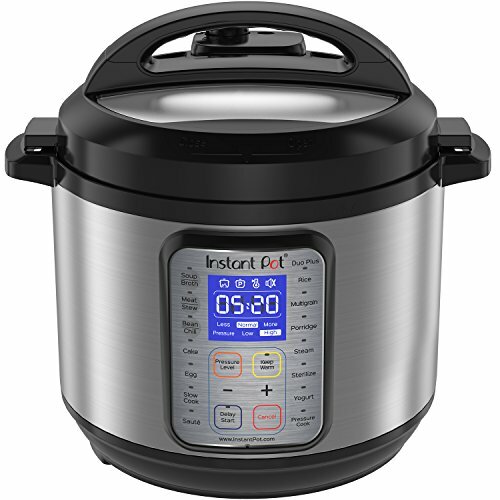 The Instant Pot is a company that has been offering its range of electronically controlled pressure and slow cookers to the general public since 2010. 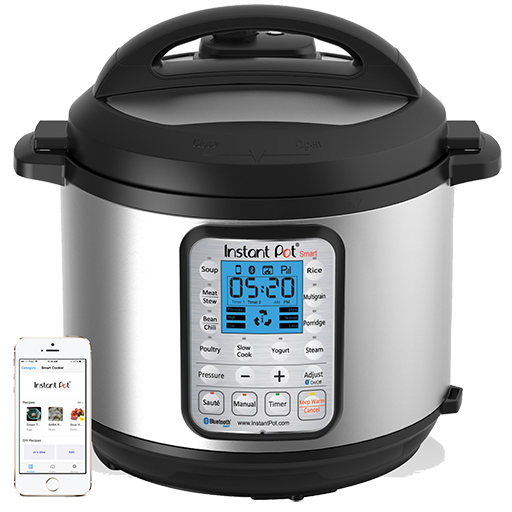 Originally introduced to the market as a 5-in-1 appliance, the Instant Pot has advanced so much, to the point where it now has a 10-in-1 programmable cooker amidst its range. 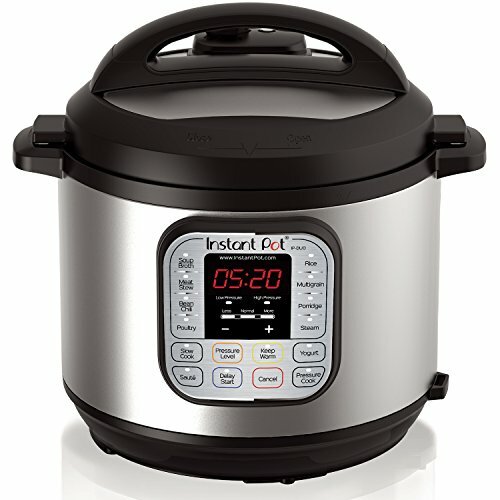 Which Instant Pot model to choose? Now that you know what the Instant Pot is all about, it’s time to decide which model is going to best suit your needs. To help you do that we’ve put together a synopsis of each of the six (but soon to be seven) different models so you can see exactly what each one offers and learn of the differences between the them. 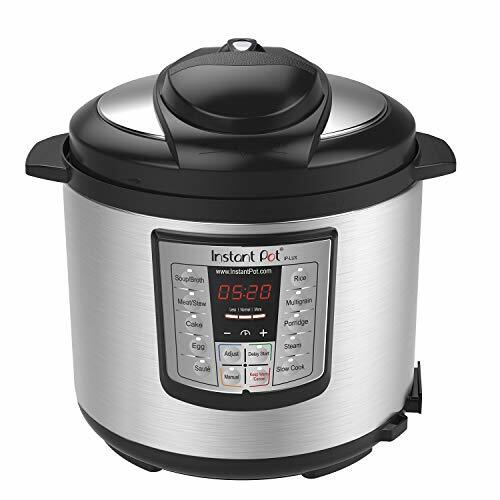 This is the most basic of the Instant Pot models on offer. 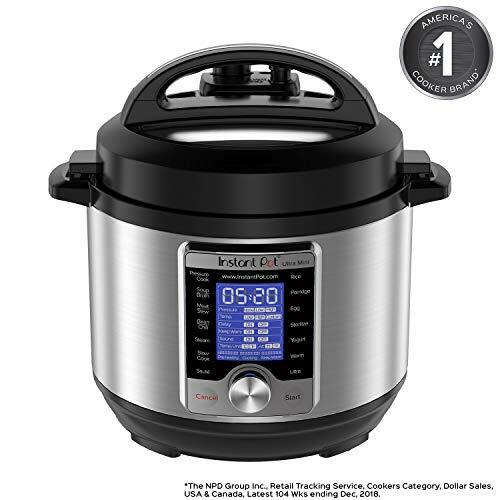 It offers 6 functions in total (pressure cooker, slow cooker, rice cooker, saute, steamer, and warmer) and comes available in a mini 3-quart version, a 6-quart, and an 8-quart version. There are 10 smart programs to choose from as well as 24-hour delay mechanism to set it the night before you want to eat. The inner cooking pot is made of a high-quality stainless steel while the 3-ply bottom ensures an even heat distribution every time. One thing to take note of with this model is that it’s the only Instant Pot model to not have a low-pressure setting. Following on from the success of the Lux model, the next Instant Pot model to join the range was Duo. It too is available in a mini 3-quart, a 6-quart, and an 8-quart model, and offers all the same functions as its predecessor. But, with the 7-in-1 Duo model has something extra - a yogurt maker. With 14 built-in smart programs, you can literally prepare your favorite meals at the touch of a button. There’s even an automatic keep-warm function and 3 different temperatures for a slow cook and saute. It has integrated lid holders that are suitable for both left and right-handed users and it’s equipped with no less than 10 proven safety mechanisms. This is a refresh of the ever popular Duo model. It offers everything the mighty Duo model has as well as a new sterilizing function, and preset times and pressures for both eggs and cakes. It also comes in the same size options as the Duo - a mini 3-quart, a 6-quart, and an 8-quart. Just like its predecessor, it has a nice clear, modern display that lets you know just what's cooking and how long it’s got left til it’s done. There are 15 microprocessor-controlled programs to choose from and 10 safety mechanisms to help prevent any unwanted injuries. It looks great, is easy to use, and replaces the need to have 9 different appliances in your kitchen! The Ultra model joined the rest of the Instant Pot clan in April 2017. With no fewer than 10 functions, this is the mother of all the Instant Pots out there. Like the others, it too is available in a mini 3-quart, a 6-quart, or an 8-quart model. It’s packed with additional options and is a pretty big step up from the Duo or Duo Plus models. As well as all the usual features you’ve seen up until now, with the Instant Pot Ultra you also get what’s called the ‘Ultra Program’. Some of the things this feature offers include better control over cooking functions and temperatures, and a smart memory function that remembers your customized settings. It also has a steam program that allows you to steam your food without using any pressure to give your food a more firmer feel. Technically, the Smart Bluetooth Instant Pot is a 7-in-1 machine. But, with the capability of being able to connect to the internet, download recipes at the touch of a button or two, including the temperature and time specifics, and then proceed to cook the meal to perfection for you, it may as well be a 100-in-1. It’s available in the 6-quart size only. With the Smart Instant Pot, you can also write your own recipe scripts that allow you to control the temperature sequentially. This means you can program it to pressure cook for so many minutes, then slow cook for so many minutes, then keep warm for so long, and so on. However, please note, this machine is not for the faint-hearted. There are a lot of great functions and features to the Smart model, and it’s not the easiest to work out. So, if you’re not technically-minded, this may not be the gadget for you. As you can see from the above, the Instant Pot is available in a range of sizes. If you have a large family (4 or more) or you know you’re going to be cooking large amounts at once, then it’s pretty obvious you should opt for one of the larger machines. But if it’s just for you, or a couple of others at most, knowing whether to get a 3, 5, 6, or 8-quart is a little trickier to decide. To give you some kind of idea as to the size of these machines, the 3-quart Instant Pot is considered the baby of the bunch. Its mini size makes it ideal for transporting and is perfect if there are only one or two of you. While you may not get a whole chicken in there, it’s still handy for cooking stews, rice, vegetables, and more. With both the 5 and 6-quart cooker, you can easily make 4 or 5 quarts of yogurt or fit a whole 5 or 6-pound chicken in it. But it’s the 6-quart Instant Pot that seems to be the most popular option, with most recipes designed for this size. Lastly, we have the 8-quart model. The 8-quart Instant Pot is the beast of the bunch and can hold 2 chickens of the same size, side by side. It’s perfect for those with large families or anyone that likes to do batch cooking. One thing to bear in mind when it comes to capacity is that even though it says it’s 3, 5, 6 or 8 quarts, you’ll never be able to fill it that much. So, if you know that you’re going to be cooking 5-quart batches, for example, don’t be fooled into thinking you’ll only need a 5-quart cooker. You’ll need at least a 6-quart Instant Pot to allow extra room for boiling, stirring, and not making a mess! This ties in largely with the point above as the bigger the capacity, the bigger the pot. Unless you’re going for the mini model, Instant Pots take up a lot of counter space, so you need to bear this in mind when purchasing one. Is technology important to you in cooking? While you can argue that an Instant Pot is a piece of technology all on its own, some models are a lot more advanced than others. While grandma might be ok operating the 6-in-1 Lux model, throw the Smart Bluetooth Instant Pot her way and she might just have a meltdown herself! On the flip side, if technology is something that’s important to you while cooking, you may consider this to be the must-have model of the century. Stackable pans. These are perfect for leftovers. Simply put each dish in a separate pan and stack em’ in your Instant Pot. In less than five minutes you could be munching your way through a selection of home-cooked foods. Steamer basket. 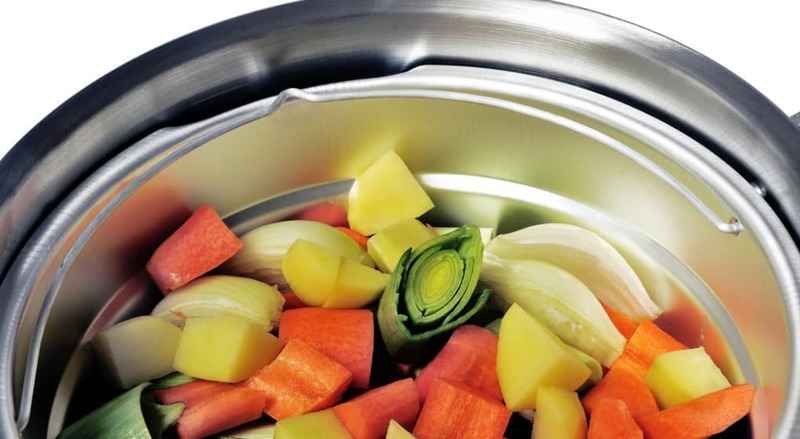 The steamer basket is great for cooking all your favorite vegetables. Most are made from either silicone or stainless steel and are conveniently stackable. Silicone lid. If you’re like me and hate wasting leftovers, then this is one accessory you won’t want to miss out on. It’s simple, yet effective. Just pop the lid on the inner pot and store it in the fridge. Egg steamer rack. Whether you’re a fan of hard or soft-boiled eggs, these egg steamer racks are great for using inside your Instant Pot. No more risk of breakage by rolling around. Simply place the eggs on the rack inside your cooker, then set the timer accordingly. Within minutes, you’ll have perfectly cooked, un-cracked eggs just waiting for you to devour. Gripper clips. Make removing hot food from your Instant Pot safe and hassle-free with a pair of gripper clips. Coated with silicone, this is one of the best kitchen utensils out there for any Instant Pot owner. They’re easy to use and will prevent you from getting any unnecessary burns. There are so many delicious foods that you can make using the Instant Pot. And the great thing about it is all the hard work is taken away from you. There’s no need to monitor temperatures or keep checking if the food’s cooked. And, everything’s done in one pot so there’s a lot less mess too. Fully loaded macaroni and cheese. A tasty and filling meal for you and your family. Can easily be done in less than 30 minutes. Succulent pork chops with a mushroom gravy. The Instant Pot produces melt in your mouth meat like you’ve never tasted, and what better treat to enjoy than a juicy pork chop. Cook to perfection in just 10 minutes! Greek yogurt. People are absolutely raving about the Instant Pot’s yogurt making capabilities. It’s easy to make and it’s the freshest yogurt you’ll ever taste. If you’re a fan of this light delight and like to consume it on a regular basis, you can find yourself saving a great deal of money when making it in an Instant Pot. We know how frustrating it can be when you want to buy a product that offers several variations but you’re not sure which one will suit your needs. Hopefully, that’s no longer an issue and you’re feeling pretty confident as to the type of Instant Pot you’re going to be buying. If you’re new to the whole pressure cooker/slow cooker business, then we’d suggest to keep it simple to begin with and go for either the Lux or the Duo/Duo Plus model. Both are very easy to use and offer enough functionality to keep you busy for a while. If however, you’re quite au fait with these machines, we strongly suggest opting for the either the Ultra or Smart models for the ultimate pressure cooking experience.